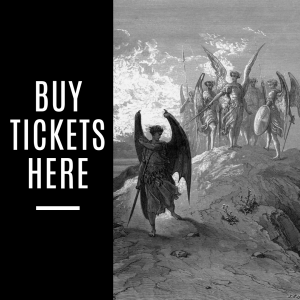 No Western understanding of the human condition is complete without a consideration of Paradise Lost. John Milton’s 17th century classic has been variously praised and damned over the years for its portrayal of the cosmic struggle for the soul of humankind, but there is no doubt that many of its images have found an inextricable place in our collective consciousness. The apparent magnificence of Satan in the opening books, the tension between justice and mercy in the Godhead, the beautiful yet vulnerable purity of Adam and Eve in the garden: it is through these characters and themes that Milton fashions his epic attempt to “justify the ways of God to men.” We will pay particular attention to Milton’s vision of life itself as a divine gift whose fullness is realized only within the overwhelming circumstance of the soul’s freedom. Dr. Allums will use the Norton Critical Edition, 2nd ed. However, that one has been replaced by a 3rd ed, here on Amazon. The poem is lined, so any edition with line numbers will be suitable. DR. J. LARRY ALLUMS is Executive Director of the Dallas Institute of Humanities and Culture. He earned his M.A. in Literature and his Ph.D. in Literature and Political Philosophy from the University of Dallas’ Institute of Philosophic Studies. 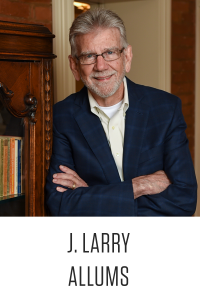 He came to the Dallas Institute in 1998 from the University of Mobile, where he was Professor of English and Dean of the College of Arts and Sciences. He has edited a volume of essays on epic poetry, The Epic Cosmos, and published articles on ancient Greek and Roman literature, Dante, and writers of the American Southern renascence, including William Faulkner, Allen Tate, Robert Penn Warren, and Caroline Gordon. Under his leadership, the Dallas Institute continues to emphasize its commitment to urban issues and its longstanding work with pre-K through 12th grade elementary and secondary school teachers, principals, and superintendents.